SOULFUL RIDES, LDA is the sole owner of the intellectual property of all materials and contents contained in the site. These materials and contents may not be copied or reproduced, except when within the scope of what is strictly necessary for their online viewing. Notwithstanding the foregoing, it is permissible to print full pages of the site on paper provided for your personal use. Notwithstanding the foregoing, SOULFUL RIDES, LDA may, from time to time, give you the opportunity to download images and other utilities from the site. These downloads are subject to the SOULFUL RIDES, LDA Download Terms and Conditions. 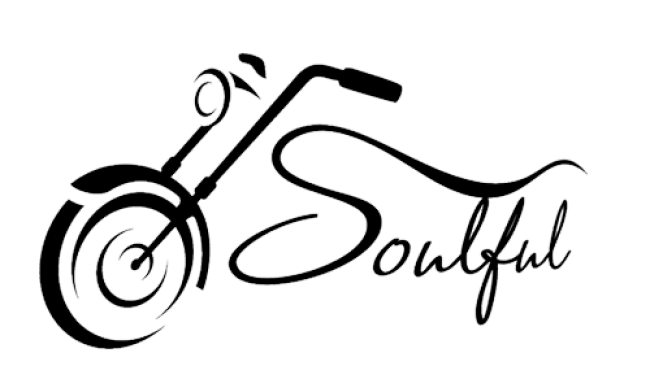 If you wish to provide a link or link to the site, it must be done with written authorization from SOULFUL RIDES, LDA, to the page designated by the same. Any attempt to change or upload information or any other actions that may cause damage and jeopardize the integrity of the site and its contents are strictly prohibited and may be punished under the terms of the legislation in force. The material contained in this site is made up of general information intended for the dissemination of products sold by SOULFUL RIDES, LDA, which are not necessarily exhaustive, complete or rigorous. SOULFUL RIDES, LDA, can not guarantee that any inaccuracies or delays in the information provided will not be detected, in particular, due to human error, technical error, attempted fraud or updates are in progress. Consequently SOULFUL RIDES, LDA assumes no responsibility for the non-verification of a desired result or for damages, material or personal damages that may arise, directly or indirectly, from access to this site and / or the use of the information contained therein. Notwithstanding the provisions of the previous paragraph, SOULFUL RIDES, LDA, reserves the right to unilaterally change at any time and without any restrictions, the specifications of the products disclosed in this site, without this implying an obligation to update immediately the contents of this site. The information on this site is intended for SOULFUL RIDES, LDA customers only in Portugal and, as such, may not be applicable in other jurisdictions. SOULFUL RIDES, LDA will use reasonable efforts to ensure that the content of this site is accurate and up-to-date. However, SOULFUL RIDES, LDA reserves the right to unilaterally change without any restrictions the product specifications at any time. SOULFUL RIDES, LDA does not guarantee that the declarations, qualities and types of products, technical specifications and other information generally included in this site are reliable and true, nor assume any obligation of the result from the use of the services and utilities made available to users from the website. SOULFUL RIDES, LDA, shall not be liable for any damages resulting from any person's reliance on such statements, product qualities, technical specifications and other information generally contained in the site, nor for the non-verification of any result required. In addition to the foregoing SOULFUL RIDES, LDA does not assume, in the broadest terms permitted by law, liability for any other damages, whatever their nature, arising from access to and use of this site.